Are you dressing up for Halloween? 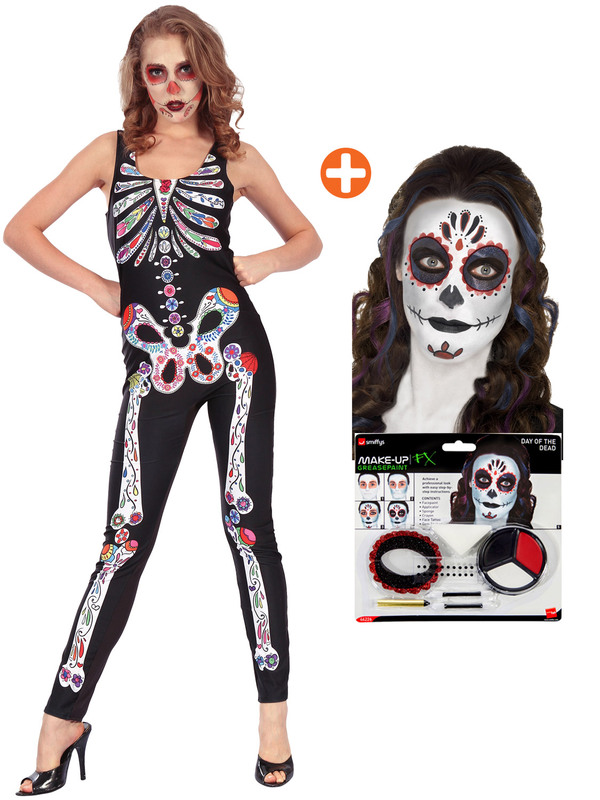 Why not get into the Halloween spirit with a fun colourful twist with this Ladies Day of the Dead Jumpsuit. Includes a black all in one jumpsuit with a white skeleton print to the front with a multi-coloured floral design. Day of the Dead Make Up Kit includes Face Paints, Face Tattoo, Gem Stickers, Crayon and Applicators. Please Note the design is only to the front.